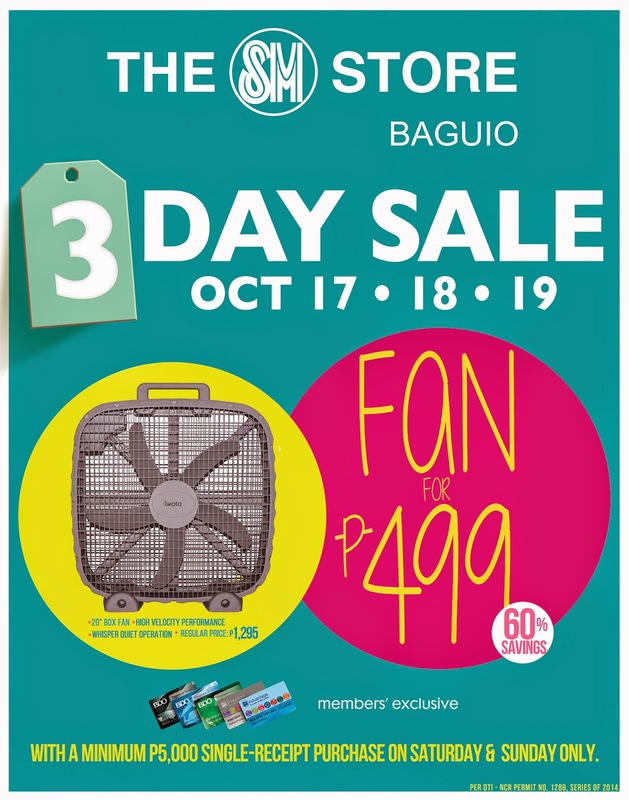 Spending while saving appears to be the best approach to financial management as SM City Baguio brings back its 3-Day Sale from October 17 to 19 to encourage you to buy while making the piggy bank eat more. You deserve this. There is always a reason for you to treat yourself on the mentioned dates since your paycheck will arrive on the 15th, two days before SM's 3-Day Sale kicks off. You will not just enjoy the free wifi that remains one of the reasons why you climb Luneta Hill to the city's major mall but you will also get up to 70% off on selected items. On top of that, do not forget that you might be the future owner of a Suzuki Ertiga. For every purchase of goods worth P1,000, you get a coupon to the raffle. To get double coupons, do your shopping on the 18th and the 19th (Saturday and Sunday). When your name is drawn, remember my name and this blog LOL. If not interested in a car because just like me you have accepted the fact that you will be a passenger forever, you can avail of a special fan for P499 when you use your BDO or SM Advantage cards. Buy the fan with a minimum purchase of P5,000 (single receipt) on the 18th and the 19th. That does not end there, you get extra 10% off on the 17th, Friday from 10AM to 12PM using your BDO or SM Advantage card and another 3- 10% rebate using your BDO card. Then for every purchase of P2,000-worth of goods, you get a chance to win a Samsung Galaxy S5 that comes with a Globe prepaid sim. 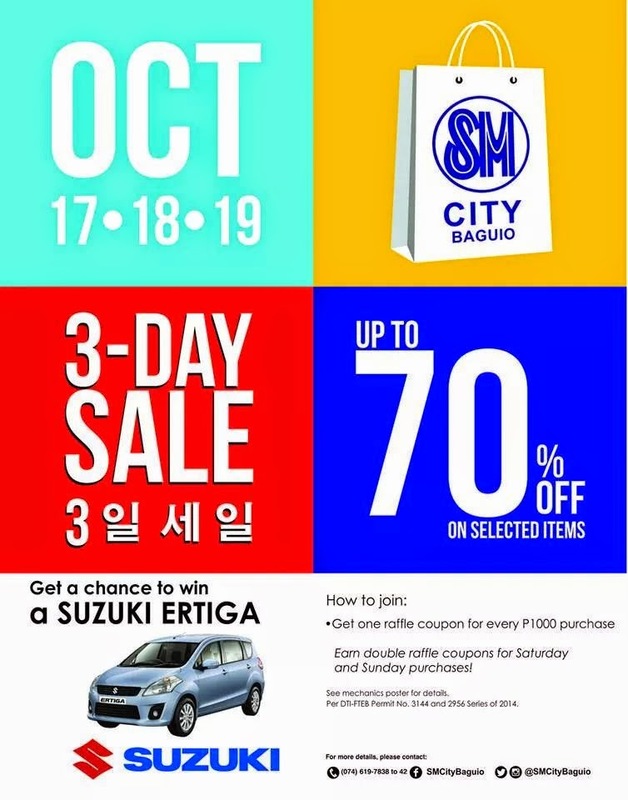 For more information, connect with SM City Baguio on Facebook and never lose a chance to spend while saving up and living more since we only have one life where we can shop what we want!